Summery of what you get in this article. You can click on the links to skip to any section for easy navigation. Where to Buy Mi Max? Xiaomi kept the design very simple and clear without any physical buttons on the front and only 7.5mm thick. For the Mi Max, they used a 6.44″ Full HD 1080p IPS LCD display with Corning Gorilla Glass 4 which offers maximum protection against scratches on screen. It is indeed a very large screen, browsing, reading and video watching experience will be better. As the screen will fit more content compared to smaller screen phones. Available in 3 different color Black, Gold & White. The main camera is 16MP with phase detection and dual-LED flash situated at the back. The camera records 1920x1080p FHD video. Like other flagship devices’ camera this one does not offer 4K video recording. Front camera is 5MP, which will meet your selfie needs and video chats on the go. Mi Max is powered by Qualcomm Snapdragon 652/650 processor inside. 3GB RAM for the 32GB and 64GB storage versions and 4GB RAM for the 128 GB versions. This is a nice offering for customers, they can choose the right storage size for their needs. There is also options to expand the storage capacity with the help of a microSD card. You can add upto 200GB extra storage and if you buy the 128GB version, the total storage of your Mi Max will be 328GB. The phone takes 2 SIM cards as it is a dual-SIM phone and has 2 SIM slots. There is one microSD slot which takes up to 128GB card. Additionally, you can use SIM 2 slot as another microSD slot where you can add another 128GB card if you are not using that slot for a SIM card. Total should be 256GB but the phone will support up to 200GB. Quite a good storage capacity offering. A big phone with a huge 4,850 mAh battery, offering 14 hours of video playback time. The battery should back you up for at least a day without needing to charge often. Mi Max also uses Quick Charge 3.0 for charging. The battery will be charged from 0% to 80%+ in 30 minutes. 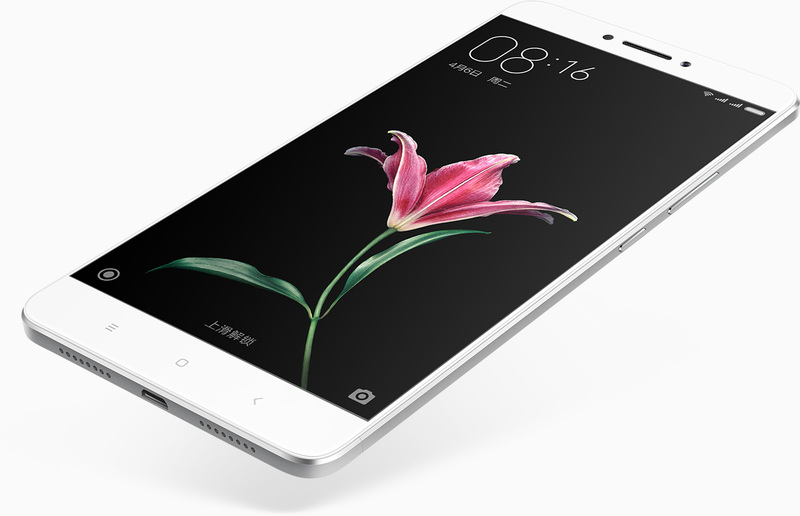 Xiaomi Mi Max is expected to be released with MIUI 8. The upcoming version of the famous OS used by 200 millions users worldwide. The update is overdue as it will be using Android 6.0 Marshmallow base. The phone also comes with fast recognizing Fingerprint sensor. Unlocking your device using fingerprint means less frustration on your device. Infrared remote control will help you to control thousands of devices. They included the new USB Type-C reversible connector for charging and data transfer. This is the latest USB standard which offers fastest data transfer using a USB device. This is what I found initially. You may find something different. Please, share them with the fellow readers using the comment section at the bottom. For the specs and what you get the price is really competitive and medium cheap. Their Chinese website listed the price in yuan. GBP and USD conversions were done on Google Search based on current rate. The phablet is now available for pre-order on their Chinese website. Online marketplace GearBest opened up an pre-order page for the 128GB version at £355 / $503 and they are already out of stock. You can keep an eye on it using this link if the stock is available later. If this is your first order with them, you can get 5% off using “Site5” at checkout. China based Xiaomi been delivering great products at affordable prices. Mi Max will be perfect fit for people who are looking for large screen phones / phablets. Mi Max comes with mid-high specs with a low to mid price tag and can take the place for best cheap phablet. The phone will give you great viewing and reading experience. You can get the benefit of a larger screen. Let us know what you think about Mi Max in the comment section below.